Business data: 2D or 3D? One debate in data visualisation can be found in the deployment of 2D or 3D charts. Here is an interesting assessment here, conducted by Alasdair Aitchison, and it is well worth a read. 3D visualisations are good for certain types of data e.g. spatial data. One good example of 3D in Spatial analysis is given by Lie, Kehrer and Hauser (2009) who provide visualisations of Hurricane Isabel. 3D has also been shown to be extremely useful for medical visualisation, and there are many examples of this application. One example for many parents is a simple, everyday miracle: anyone who has known the experience of seeing their unborn child on a screen will be able to tell you of the utter joy of seeing their healthy child grow in the womb via the magic of medical imaging technology. Another example of this work has been conducted in cancer studies, where the researchers have visualised tumours in order to detect brain tumours (Islam and Alias, 2010). For me, data visualisation is all about trying to get the message of the data out to as many people as possible. Think John Stuart Mill’s principle of utilitarianism – the maximum happiness to the most amount of people. In data visualisation, similar applies; we can make people happy if they get at their data. However, for the ‘lay public’ and for business users, 3D isn’t good for business data because people just don’t always ‘get’ it easily. Note that medical staff do undertake intensive training in order to assess scans and 3D images, and this subset is excluded from the current discussion, as is spatial data. Hopefully, by restricting the ‘set’ of users to business users, the argument goes from the general to the specific, where it is easier to clarify and give firmer answers to the ‘grey’ subject of data visualisation. Data Visualisation is not about what or how you see; it’s ‘other-centric’. It’s about getting inside the head of the audience and understanding how to help them see the message best. It is often difficult to judge what business users – or people in general – will find easiest to understand. It is also difficult to ascertain what visualisations can best support a given task. Ultimately, I like to stick to the best practices in order to try and answer the data visualisation question as well as possible and to make things as clear for everyone as possible. Part of my passion for data visualisation comes from personal experience; I was told when I was quite young that I was going blind in one eye. Fortunately, this proved not to be the case, and I can see with two eyes. When my son was born, I saw him with two eyes, and for that I am extremely grateful. Having been through the experience of learning that I may go through life with impaired vision, I have been blessed to understand how precious our vision is, and to try and do something positive for others who have struggled with their vision. This experience has made me passionate about trying to make things as clear for everyone else as possible, so I guess the personal experience has made me so passionate about making data visualisation accessible to everyone, as far as possible. One particularly relevant issue in data visualisation is the debate over 2D over 3D – namely, whether to use 3D in data visualisation or not. Here, I specifically refer to the visualisation of business data, not Infographics. On one hand, 3D can make a chart or dashboard look ‘pretty’ and interesting. In today’s world, where we are bombarded with images and advanced graphical displays, we are accustomed to expecting ‘more’ in terms of display. We do live in a 3D world, and our visual systems are tuned to perceive the shapes of a 3D environment (Ware, 2004). The issue comes when we try to project 3D onto a 2D surface; we are trying to add an additional plane onto a 2D surface. This is a key issue in data visualisation, since we are essentially trying to represent high-dimensional entities onto a two-dimensional display, whether it is a screen or paper. Generally speaking, 3D takes longer for people to assimilate than 2D graphs, and they are more difficult to understand. Not everyone has good eyesight or good innate numerical ability, and its’ about getting the ‘reach’ of the data to as many people as possible without hindering or patronising. Perceptually, 2D is the simplest option, and the occlusion of data points is not an issue. Business users are also often more familiar with this type of rendering and it is the ‘lowest common denominator’ in making the data approachable to the most number of people. On the other hand, there is some evidence to suggest 3D graphs can, on occasion, be more memorable initially, but this isn’t any good if the data wasn’t understood properly in the first place. It can also be more difficult to represent labels and textual information about the graph. – Efficiency. Numbering is inefficient since it can be difficult to compare. “Comparison is the beating heart of analysis” (Few) In other words, we should be trying to help users to get at their data in a way that facilitates comparison. If comparison isn’t facilitated, then this can make it more difficult for the users to understand the message of the data quickly and easily. – Meaningful. A graph should require minimum explanation. If users take longer to read it, and it increases cognitive load, then it can be difficult to draw meaningful conclusions. The introduction of 3D can mean chartjunk, which artificially crowds the ‘scene’ without adding any value. If you crowd the ‘scene’, then this can naturally distract rather than inform. – Truthful. The data can be distorted; occluding bars are just one example. If the labels are not correctly aligned or have labels missing, this can also make the 3D chart difficult to read. – Aesthetics. It can make the graph look pretty but there are other ways to do this which don’t distract or occlude. Stephen Few has released a lot of information about 3D and I suggest that you head over to his site and take a look. Alternatively, I can recommend his book entitled ‘Now you See it‘ for a deeper reading since it describes these topics in more detail, along with beautiful illustrations to allow you to ‘see’ for yourself. – Look at the data. The data might be astrophysics data, in which the location of the stars, and its type, could be identified by colour and brightness as well as location. If the data is best suited to 3D, such as spatial, astrophysics or medical data, then that’s the right thing to do. If the data is business data, where it is important to get the ‘main point’ across as clearly and simply as possible, then 2D is best since it reduces the likelihood of misunderstandings in the audience. Remember that not everyone will be as blessed with good sight or high numerical ability as you are! – Look at the audience. 3D can be useful if the audience are familiar with the data. I had a look at Alastair’s 3D chart and I have to say that I am not sure what the chart is supposed to show, probably because I’m not clear on the data. I am not an expert in spatial data, so I don’t ‘get’ it. So I ask for Alastair’s understanding in my perspective that I don’t understand the spatial data in his blog, so I will be glad to defer to his judgement in this area (no pun intended). If you can’t assume that the viewers are familiar with the data, then it’s probably common sense to make it as simple as possible. – Look at the Vendors. Some vendors, e.g. Tableau, do not offer 3D visualisations at all, and bravely take the ‘hit’ from customers, saying that they are sticking to best practice visualisations and that’s the second, third, fourth, fifth and final opinion on the matter. In terms of multi-dimensional data representation, there are different methodologies in place to display business data that don’t require 3D, such as parallel co-ordinates, RadViz, lattice charts, sploms, scattergrams. I have some examples on this blog and will produce more over time. Further, it is also possible to filter and ‘slice’ the data in order to focus it towards the business question at hand, so that it is easier for business users to understand. I hope that SQL Server Denali Project Crescent will help business users to produce beautiful, effective and truthful representations of business data. I believe that business users will eventually start doing data visualisations ‘by default’ because it is inbuilt to the technology that they are using. Think of sparklines, which are now availabe in Excel 2010 – this was exciting stuff for me! Hopefully Project Crescent will go down this route towards excellent data visualisation but I recognise it will take time. To summarise, the way around the ‘3D or not to 3D’ in business data is to offer such beautiful, effective, truthful visualisations of business users’ data that adding 3D wouldn’t add anything more to them. The focus here has been on business users, since that’s where my experience lies; there are plenty of good examples of 3D in spatial, astrophysics and medical imaging, but my focus is on business users . To conclude, my concern is to get the message of the data is clearly put across to the maximum number of people – think John Stuart Mill again! The UK Tableau User Group committee are delighted to announce the Keynote speaker for our next event is Stephen Few. If you would like to register for this event, please do visit the registration site here. Stephen writes the quarterly Visual Business Intelligence Newsletter, speaks and teaches internationally, and provides design consulting. 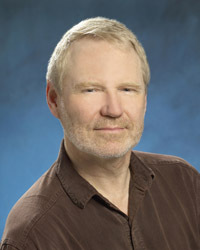 In 2004 he wrote the first comprehensive and practical guide to business graphics entitled Show Me the Numbers, in 2006 he wrote the first and only guide to the visual design of dashboards, entitled Information Dashboard Design, and in 2009 he wrote the first introduction for non-statisticians to visual data analysis, entitled Now You See It. Personally, I think that both of these books are fantastic, and I always recommend them at SQL Server User Groups and to my customers. Please note that only a maximum of two (2) delegates will be admitted per organisation. Should any organisation wish for further delegates to attend an email can be sent to uktug@uktug.com – however, I suspect that there will be no places left but you can try your luck! Any places allocated from the waiting list will be confirmed just prior to the event. Full details of the Agenda will be published on http://www.uktug.com and the LinkedIn UK Tableau Users Group. As some of you may know, I recently presented at the Tableau European User Conference which was held in Amsterdam in May 2011. The topic was ‘Using Tableau with PowerPivot’, in which I explored the idea of PowerPivot as a data source and Tableau as the presentation layer. 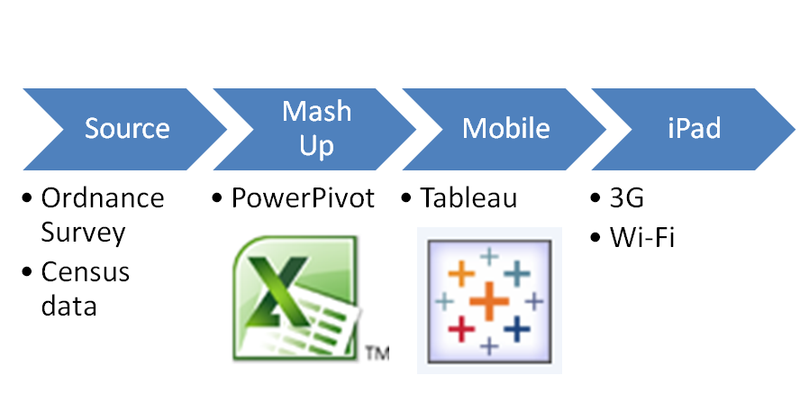 I wrote a blog on the topic of Tableau and PowerPivot recently, and the purpose of this post is to simply share the slides. I thought that the slides might be useful, so I have posted them for you here. I hope that you enjoy, and please do let me know your comments.